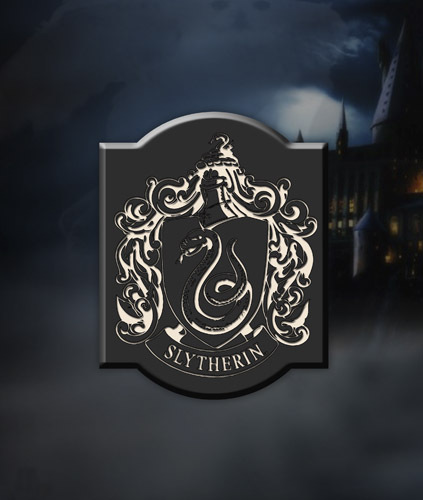 Declare your allegiance to the house of Salazar Slytherin! This sleek, laser-engraved wooden plaque from Harry Potter depicts the Slytherin house crest, the symbol of cunning throughout the wizarding world. It measures approximately 13.5″ tall and is ready to hang in any room!